Holocentric hosted the VIP Breakfast at the PEX event at the Swissotel, Sydney. Special thanks to Andrew Clarke, Principal at Business Aspect, who spoke at the VIP Breakfast, presenting the Airservices Australia journey. Showcasing his approach in implementing an Integrated Management System (IMS) using Holocentric's BMS, including how to gain senior management buy-in, Andrew discussed key success factors and tangible benefits derived from usage. Ironically, in today’s technologically-advanced world, we’re still quite “techno-retro” when it comes to business. Burdened with redundant processes and inefficiencies, which compound risk and complexity, we’re still restricted by siloed departmental thinking with inconsistencies in understanding, planning and execution – all puncturing our ability to deliver. We need to evolve our way of thinking to release our businesses from an arrest by legacy systems. Nina Muhleisen, Head of World Class Delivery Model at ANZ, spoke about streamlining for consistency in the implementation of best practices. To deliver world class results, you need supportive world class leaders who foster enterprise-wide engagement. Once you’ve connected people, processes, strategy and technology to drive process and operational excellence, you can then look beyond your organisation to become best in business. An evolving model which provides a deep understanding of your business is essential for success and it will become, if we borrow the words of Jane Austen, “a truth universally acknowledged, that those aspiring to become best in business, will be in need of Holocentric’s BMS”. Interested in seeing what the BMS can do for your organisation? Get in touch for a chat or follow us on LinkedIn for exclusive news, events, business articles and great resources about the work we do. 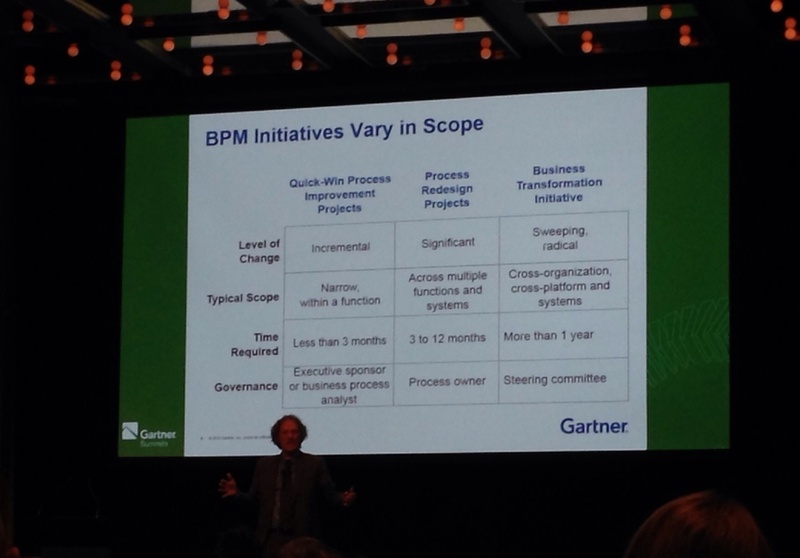 Holocentric sponsored the Gartner Business Transformation and Process Management Summit at the Hilton, Sydney. It was well-attended with 280 delegates, and again, another engaging and insightful event, helping us better understand the future direction of enterprise software and technology. We had some interesting conversations with conference attendees while showcasing the Business Management System and presenting capabilities to address business challenges and needs. During the networking event, we invited delegates to visit our booth to "learn about the building blocks of business excellence" with a game of giant Jenga to win power banks, branded Lindt bars and drink bottles. 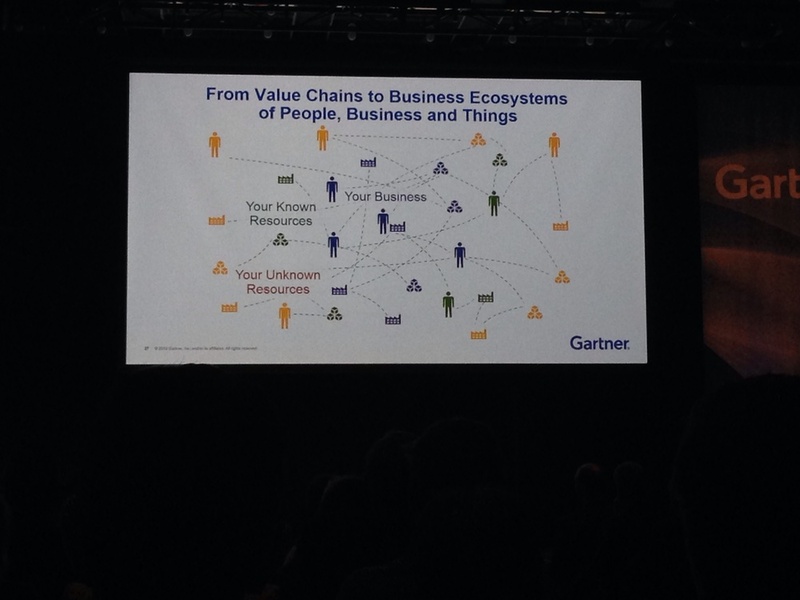 Gartner discussed the importance of placing people and culture at the heart of business excellence and transformation, emphasising interconnectivity and the equal importance of organisational elements including people, strategy, processes, business intelligence and technology as drivers of success. Workplaces will change as organisations break down departmental silos and adopt an agile way of working (the concept of the bimodal approach), leveraging technology to gain a competitive edge. Interestingly, Gartner envisions an evolution in operating models for organisations. Introducing the concept of a Business Operating System, Marc Kerremans showed that a new operating model encompassing enterprise business process analysis, performance monitoring and operational intelligence – linking to systems and technology – would be fundamental for success. This is exactly what we offer. We help organisations develop models which connect all organisational elements with business priorities and strategy clearly outlined and tied to execution. Our Business Management System helps you understand the connections, design evolutionary changes and optimise performance for continuous improvement. With the BMS being at the forefront and the Business Operating System being so closely aligned to what we offer, it’ll be very interesting to see how this research from Gartner develops. Embraced by leading organisations, the BMS is designed for the future and engineered for business excellence. To find out more, get in touch or follow us on LinkedIn for exclusive news, events, business articles and great resources about the work we do. Holocentric was delighted to be a part of HIC 2015, Australia’s premier digital health, health informatics and e-health conference, held in Brisbane. It was great to see so many people who were passionate about transformation in the healthcare industry. This was the first time Holocentric attended the HIC and we were proud to demonstrate how our technology is helping to transform Australian healthcare. Health informatics is critical to providing improved patient outcomes and efficiencies. Those who attended HIC were collectively passionate about improving efficiency, accuracy and patient safety. Digitisation and technology is enabling the collection and management of data through smarter and less complex processes. It is creating disruptive change in the health sector. This is also opening an outlet to drive reform across the health spectrum. James Holman presented at HIC 2015 on how the DHHS Victoria are transforming their organisation away from a reliance on 'folklore' and towards the 'facts'. The department is using Holocentric's Business Management System (BMS) to develop and maintain a central repository of corporate knowledge. The BMS provides a consistent representation of corporate knowledge, enabling the linkage of legislation, policy and guidelines to processes, people and technology. Have a look at the importance of distinguishing between folklore and the truth here.